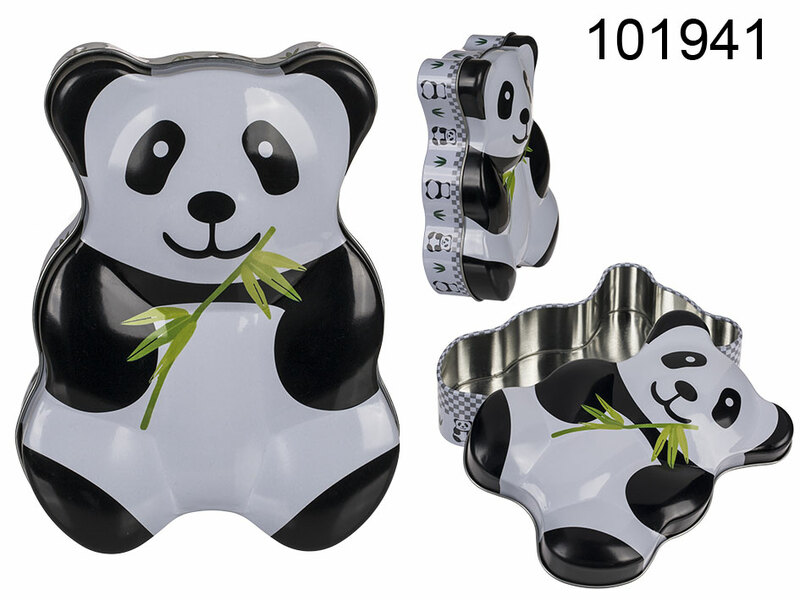 Adorable tin box with the popular theme of black-and-white panda. Handy item for any space. Casual promotional item.